Pursuing the dream of a musical vocation-particularly in rock music-is typically regarded as an adolescent pipedream. Music is marked as an appropriate leisure activity, but one that should be discarded upon entering adulthood. How then do many men and women aspire to forge careers in music upon entering adulthood? 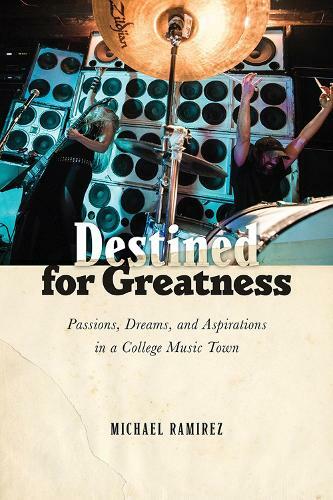 "A fascinating reminder of music's profound impact across the life course, Destined for Greatness offers a backstage look at how musicians pursue, abandon, or creatively accommodate their rock and roll dreams with the realities of growing up." --Ross Haenfler "author of Straight Edge "
"Michael Ramirez tells a fascinating story of emerging adulthood, developing an identity as a professional musician, and confronting the challenges of sustaining a career in the indie college music scene." --William T. Bielby "professor of sociology, University of Illinois Chicago "